Call me old school or retro, but SNES was truly one of the greatest consoles ever made. OK, so really it wasn’t just the console, it was the games that made SNES so great, and now you can play all those awesome SNES games directly on your iPad… with a little help at least. This uses an emulator to play the old school games in iOS, but whether or not it will work on the iPad of your own will depend on a few things. Note these two methods require what is called a “jailbreak” which is aimed at advanced users. If you don’t want to jailbreak, just get an emulator on the desktop computer instead. There’s actually two ways to play SNES on the iPad. The first is by using a program called SNES HD, which is an iPad port of the popular SNES emulator for Mac called SNES9x. This app is really cool because for one it’s totally free, and it lets you use the iPhone as a remote control! You can get SNES HD here, it’s a free download, or you can find it on Cydia Store. You’ll want to checkout that page as well for instructions on installation, which uses Cydia to install the package. Neat isn’t it? 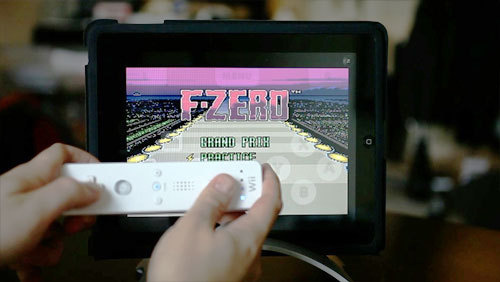 Maybe some day SNES will get an official iPad emulator…. but probably not. You’ll use an app from the Cydia store called SNES4iPhone, and then sync the Wiimote up to be your remote. 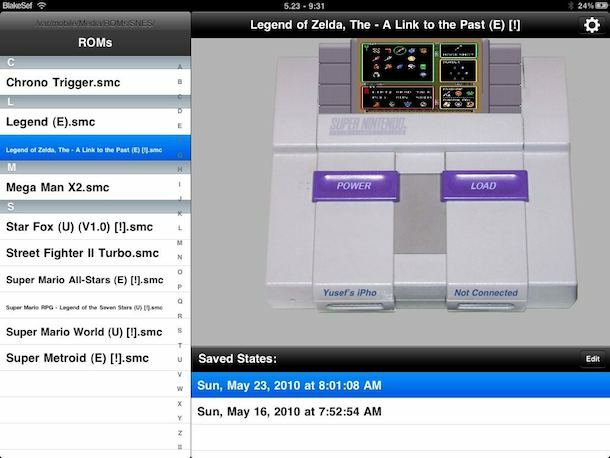 If you’re a super geek you can probably figure out the whole process on your own, otherwise check out LifeHacker: Play SNES in four easy steps to get it all working on your iPad. Remember that in either situation you will need to jailbreak your iPad before you’ll be able to play any SNES games on your iPad. It’s my opinion that Nintendo and the classic game makers should join together and release an official SNES player for iPad, then charge for the individual games. I think this would be a big hit and would be a great way to revive some classic games that many people have long forgotten and no longer have an ability to play. Oh and one more thing, SNES4iPhone will work to play SNES on the iPhone and iPod touch too! The above http://wherethewoozlewasnt.com/?page_id=12 link is dead. Is there anywhere else we can get SNES HD from? Is it possible to get Metal Slug Rampage on The Ipad 2? i have snes a.d. on my iphone 4,now i can play earthbound or mabye super mario all-stars all day and all night!! !